Today in Münih, "German Films" jury announced that Fatih Akyn's Ya?amyn Kyyysynda is selected as Germany's Oscar nomination for "Best Foreign Language Film". The film deals with love and family relations between Türks and Germans who live the political and cultural differences of today's globalized world. The jury mentioned that their decision is based on the film's dramatic structure, visual composition and its story's emotional impact . Fatih Akyn stated that he is very pleased by the decision. 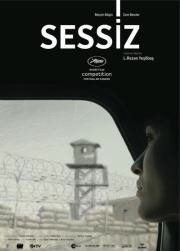 Starring Nurgül Ye?ilçay, Baki Davrak, Tuncel Kurtiz, Patrycia Ziolkowska and Nursel Köse, Ya?amyn Kyyysynda also received "The Best Script" in 2007 Cannes Film Festival and "The Ecumenical Jury Prize".